Food prep is so essential and it is the only way we can put this to practise. If we do not prepare our own food we cannot have a healthy diet. Processed foods have taken over we need to change the emphasis to fresh healthy homemade food. Preparing vegetables (lots of them) and adding them to your diet is one of the best ways to make a huge difference to the quality your nutrition. Not only will adding vegetables brings a ton of essential minerals and vitamins but it will also naturally help you reduce the not so good food in your diet. Aim for colourful plates of food. It doesn't take long, you can prepare roast veg and a salad within 10 minutes. Bone density is so important. Reduced bone density causes weaker more brittle bones. There are simple ways to help improve or maintain your bone density focusing on nutrition and exercise. 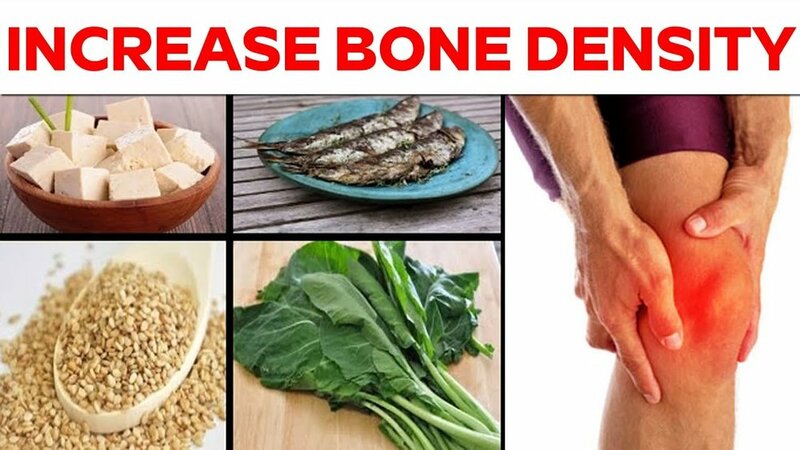 Not too long ago osteoporosis (very low bone density) used to be only a problem for some women over the age of 65 years old, however in todays age with lower levels of activity and poor diets even teenagers are getting diagnosed with osteoporosis. Nothing is being done to stop this! Our bone density reaches its peak at 30 years of age. Up to this point we are building more bone than we are losing, after this point it gradually starts to flip, losing more bone than it is gaining. But not to worry! There are things we can do to help increase or maintain our bone density. So we know we need calcium for healthy bones right? Sadly it's not that simple. Most people actually get enough calcium in their diets, even if you eat junk food all the time your likely to meet you RDA of calcium. The issue here is more about how the calcium is getting used by the body and this is where vitamin D helps out, as well as being an antioxidant it also helps use the calcium for new bone growth so get some sun rays when you can. The are also strong evidence that magnesium is very important in bone growth. Magnesium helps utilise the calicuim without it calcium cannot be absorbed into the body, it also removes any extra calcium that we don't need. Magnesium helps you relax and lowers the blood pressure. Here are 10 foods high in magnesium! All pretty healthy foods to be honest, no doughnuts or pizzas sneaking in there. Many scientist suggest there are two more important things than calcium for bones! Silicon creates the collagen matrix that give your bones most of their strength and flexibility. Without strength and flexibility your bones will become weak and brittle increasing the chance of broken bones. To stimulate silicon we need movement, weight bearing exercises like weight training and running. The loading of the bones and the compression helps activate electrical signals to produce new silicon leading to new bone growth. Think of it this way, if you are not moving your bones and muscles what need is there for strong bones and muscles? No need at all, hence with reduced activity we increase bone loss. Exercises that work particularly well for helping improve bone density include those that vertically load the muscle, for example- squats, push ups, lunges, planks and running. This is one of the most important things for bone strength, as soon as we reduce our exercise negative affects start to happen. This is one of the main reasons older people, especially women have weak and brittle bones. Being older is not an excuse to not exercise or lift the odd dumbbell. To summarise we need silicon, exercise and magnesium to help improve and maintain our bone density. No pill or medication can ever replace this. We need this from the right nutrition and good exercise. One of the best things we can do to prevent degenerative diseases such as cancer is to have a good supply of antioxidant rich foods. Along with this yoga has also been proved to promote the ‘relaxation response’ and helping prevent degenerative diseases. The nutrient sulforaphane found in broccoli, as well as the nutrient Dilly sulphide found in garlic have been shown to turn on anti-cancer genes. Red wine… YAY.. contains Resveratrol which has been proved to improve health! Antioxidants are so power because they help fight against free radicals. Free radicals go around destroying other cells by oxidation, just like the browning of an apple. The free radicals are caused by the metabolism, pollution, radiation, smoking, herbicides, stress, lack of exercise, lack of sleep and diet. Oxidative stress has been linked with arthritis, premature ageing, leg swelling, artery hardening, cancer susceptibility. Antioxidants are critical for our survival without them oxidation would destroy our bodies. Antioxidants are the bodies defence mechanism for free radicals. Where to find antioxidants? In fruits, vegetables, pulses and some supplements. Go for a full range of colours with your vegetables and fruits; traffic light system, taste the rainbow. 1- our bodies contain billions of cells held together by electronic bonds. Sometimes these cells are help together by a weak bond and can split apart. 2- resulting in an unstable molecule with unpaired electrons. This is known as a free radical. 3- these free radicals will start attacking healthy near by cells in an attempt to replace their missing electron. 4- when the attacked molecule losses it electron is becomes a free radical itself, causing a chain reaction to occur damaging many cells. This is known as oxidative stress. It literally decays otherwise healthy cells. 5- antioxidants protect against oxidative stress. Antioxidants stop the chain reaction by donating one of their electrons to the free radicals. The great thing is antioxidants stay stable and do not become free radicals. Dont ignore a whiplash even a mild one. 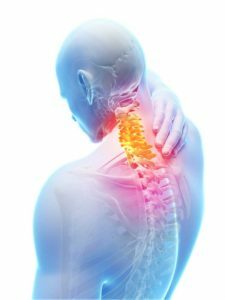 Whiplash injury is a type of neck injury and occurs when the neck and head are suddenly forced backward and then forward, putting the cervical spine through lightning-quick motions and extreme stresses. Whiplash will sometimes get better within a few weeks or months, but for some people it can last longer and severely limit their activities. It's best to see a chiropractor, osteopath, physiology or sports massage therapist right away. It will save you time, pain and money. How much of you is determined by your genes? 50%, 90% or 5%? Food has the power to directly shape and change us at almost every level. Food is one of the only things we put into our bodies, it really has a huge effect on our health, fitness, energy, strength and moods to name a few. We need to see food as fuel and in some ways we are very much like cars... If we put good fuel and regularly maintain our bodies we will perform well without breaking down. We have got to make sure that the fuel we eat is going to drive our bodies not slow them down. Good nutrition has been proved countless times on having a huge effect on reducing most health diseases. Everyone is effected by their own health, it has been proved that by making positive gradual changes to your diet you can seriously decrease the risk of many health diseases, increase strength as well as helping to fight of mental health diseases. Crashing energy levels are not fun for anybody… quick fixes to these problems are often a bad idea. Building an balanced diet has been shown to hugely impact on every levels, the right foods can help control sugar levels, increase metabolism and increase energy levels. There is no quick fix to sustained long term health and fitness. You cannot diet and train for three months and expect long term health and fitness. In order for long term success you must change the way you view food and exercise. A fundamental change to your habits and priorities is needed in order to move forward with health and fitness. Studies have shown that actually the genes your born with only determine 5% of what you will end up being like, looking like and feeling. The other 95% that creates you comes from your environment; what you eat, how you live. Much research has been done looking at identical twins (with identical genes), and they have concluded that the majority of the factors that contribute to ageing and degenerative disease are due to the environment, not the inherited genes. Picture it this way, if twins grew up together they would most likely look pretty similar when they are young. One of the twins becomes an elite athlete, training every day and eating well, the other twin becomes an office worker, living a mostly sedimentary lifestyle, eating mainly junk food and processed meals. Now, as you can imagine these twins will look very different, and with more and more time the differences would enlarge. It’s the environment, not genetics that cause the difference seen in twins. Today it’s been proven that your diet, whether it’s good or bad will switch genes on or off. (Epigenetic's- science on how environmental signals affect your genes). The environment and food choices that we make constantly change the activity of our genes, shaping who we become. Here’s a great example of how biology works in the human body, every single cell in the human body has the same DNA code. Each cell starts as a stem cell, but the different environments they get put under makes them totally different; bloods cells, nerve cells, liver cells, bone cells, all the same DNA code but hugely different to one another. Now here’s something pretty freaky… only 80% of our height is determined by our genes! The rest is mostly affected during the pregnancy, the environment that the mother and the baby are in; food, drink, stress, and health. There so much information out there about cholesterol but what actually do we need to know and is it really as bad as it all sounds. Let me explain to you what cholesterol is, what is does and what increases it. Enjoy. Cholesterol for most people has a very negative meaning however this is far from the case. Cholesterol is a type of fat found in your blood and is in every cell of the body making it essential for life. Your liver makes cholesterol for your body. You also can get cholesterol from the foods you eat. Meat, fish, eggs, butter, cheese, and whole or low-fat milk all have cholesterol in them. There are two main types of cholesterol: HDL and LDL. Most cholesterol is LDL (low-density lipoprotein) cholesterol. LDL cholesterol is more likely to clog blood vessels because it carries the cholesterol away from the liver into the bloodstream, where it can stick to the blood vessels. HDL (high-density lipoprotein) cholesterol, on the other hand, carries the cholesterol back to the liver where it is broken down. This is the type of cholesterol we want to focus on increasing and recently has been proven. However the method is not fully understood, but the only way to increase your HDL is with exercise. So get moving and keep moving. Cholesterol is in every single cell of the body, but what do they do? Saturated fat and cholesterol make the walls of the cells firm, in many cells almost half of the membrane is cholesterol. We need to be constantly supplying the cells with cholesterol otherwise they will weaken and deteriorate. Cholesterol is also essential for cell communication. All cells have to communicate with each other and to do that they use proteins embedded into the cell wall. The cholesterol and fats in the membrane create lipid rafts to which the protein attaches. Without enough cholesterol cells cannot communicate effectively with one another causing problems. Your brain needs cholesterol! About 25% of the cholesterol in the body is found in the brain and plays many important roles including membrane function, can act as an antioxidant, serves as a raw material to create hormones and even vitamin D. In fact a recent study showed that in the elders those with the best memories had high cholesterol levels, with low cholesterol levels associated with increased depression and even death. Cholesterol is essential for creating memories. To create a memory brain cells establish connections between each other, called a synapses. The healthier synapses connection a brain can make the more they can take in and remember. Recently it has been discovered that synapses formation is almost totally dependant on cholesterol, which is produced in the brain cells. Without cholesterol we can not form synapses, without synapses we cannot create a memory. A side effect of cholesterol lowering drugs is memory loss. Does food affect cholesterol? Yes and no. It has actually been proved that the choleaterol in food has no effect on blood cholesterol! The body produces cholesterol as needed. If we eat more cholesterol the body produces less, if we eat less cholesterol the body produces more. About 85% of our blood cholesterol in the body is produced by the body and only 15% in food. However, contrary to popular belief elevated cholesterol is not down to eating too many high cholesterol foods like eggs and butter, instead something completely different, sugar! The number one cause of elevated cholesterol is due to too much sugar in the diet. Elevatedinsulin levels, due to having too much sugar, promote an inflammatory environment in the body. Sugar increases inflamation, inflamation increases cholesterol (bad cholesterol). When looking at cholesterol levels it is much better to ask what is causing it to go high or what is causing it to go low. Too high cholesterol levels increase the chance of heart attacks, whereas too low cholesterol increases the chance of dementia and Alzheimer's. It's much more about finding the balance than trying to go super low cholesterol. Other factors that increase your cholesterol levels include lack of sleep and stress. These two things often come hand in hand, if you are highly stressed your sleep will suffer. If you do not get enough sleep you are far more likely to have increased stressed levels. Along with this infections have been shown to increase cholesterol along with elevated insulin levels (high sugar) mainly due to the inflammatory environment they produce in the body. To summarise when looking at your cholesterol levels focus much more on what type of environment your own body is in. Is the fuel you eat bringing and enforcing positive outcomes or is it doing the opposite. Whatever we put in our body will directly shape us. A balanced and healthy diet full of vegetables with a good balance of carbohydrates, protein and fat along with regular exercise is the key for sustained health and fitness. Food has the power to directly shape and change us at almost every level. Food is one of the only things we put into our bodies, it really has a huge effect on energy levels, health, fitness, strength and moods to name just a few. We need to see food as fuel and in some ways we are very much like cars... If we put good fuel into our bodies and regularly maintain it, our performance should be great without breaking down. We have got to make sure that the fuel we eat is going to drive our bodies instead of slow them down. There is no quick fix to sustained long term health and fitness. You cannot diet and train for three months and expect long term health and fitness. In order for long term success you must change the way you view food and exercise. A fundamental change to your current habits is needed to move forward before you can progress with health and fitness. Come along on Sunday, 29th of April at 11.30 a.m. at our DP Wellbeing studio in Broughty Ferry (33 Lawrence Street, opposite the M&S carpark) and join us for a free 45 minute talk, going deeper in to The Power of Food. Protein is an essential part of health, as is important for a number of reasons. Protein can help improve the recovery time of muscles as well as assisting in the growth of lean muscle. It’s important to increase lean muscle as this will in tern increase the metabolism (without having to do endless hours of cardio). An important thing to mention here is obviously exercise, a healthy diet and exercise routine will work hand in hand. Try to aim for a few servings of protein each day, and make an extra effort to eat some protein after you’ve done a workout as this has been shown to increase recovery time. How Much of You is Determinded by Your Genetics? It's been shown that the genes you’re born with only determine 5% of what you will end up being like, looking like and feeling. The other 95% comes from your environment; what you eat and how you live. Let's say we have identical twins, with identical genes. If the twins grew up together they would most likely look pretty similar when they are young. One of the twins becomes an elite athlete, training every day and eating well, the other twin becomes an office worker, living a mostly sedentary lifestyle, eating mainly junk food and processed meals. Now, as you can imagine these twins will look very different, and with more and more time the differences would enlarge. It’s the environment, not genetics that cause the difference seen in twins. Many studies have looked at identical twins and have concluded that the majority of the factors that contribute to ageing and degenerative diseases are due to the environment not the inherited genetics. If you want to learn more about how food can affect you on a genetic level come down to our Wellbeing Clinic talk, The Power of Food on Sunday the 29th of April at 11.30am at our DP Wellbeing studio in Broughty Ferry. It's a free talk and no sign up is required. The food and drink we put in our body is just like the fuel you put in your car, if it’s bad quality it will run poorly or maybe breakdown, if it’s good or even better super fuel you will run like a supersonic jet! Superfoods are a must have for a healthy diet. 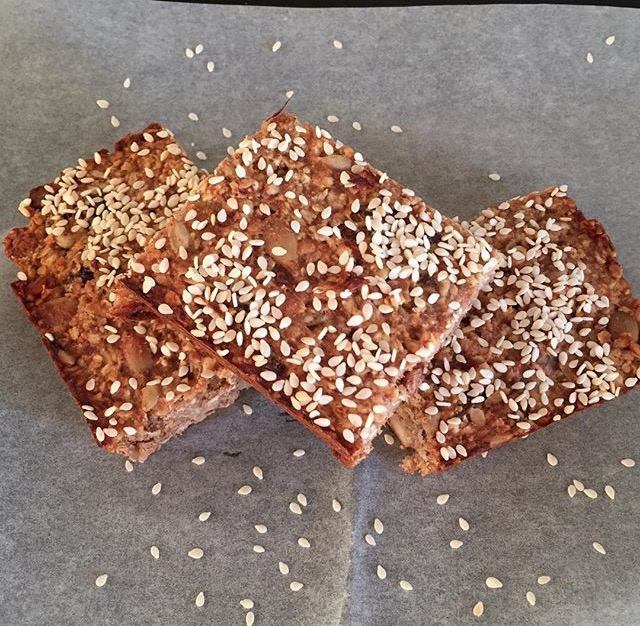 The actually term superfoods in my opinion is relatively ambitious, so try not to get too caught up over what is and what is not a ‘superfood’. Here’s some examples- broccoli, garlic and turmeric are considered to be superfoods, doughnuts, cakes and biscuits are not. But, here’s a thought, what about a dark chocolate and chilli biscuit? ‘Superfood’ or not, making sure that kitchen is full of real foods; unprocessed, whole, ideally organic and locally grown foods is a great way to support and improve health and quality of life. Not too long ago osteoporosis (very low bone density) used to be only a problem for some women over the age of 65 years old, however in our todays age with lower levels of activity and poor diets even teenagers are getting diagnosed with osteoporosis. Nothing is being done to stop this! Our bone density reaches its peak at 30 years of age. Up to this point we are building more bone than we are losing, after this point it gradually starts to flip, losing more bone than it is gaining. But not to worry! There are things we can do to help increase or maintain or bone density. So we know we need calcium and vitamin D for strong and healthy bones right? Sadly it's not that simple. Most people actually get enough calcium in their diets, even if you eat junk food all the time you likely to meet you RDA of calcium. The issue here is more about how the calcium is getting used by the body and this is where vitamin D helps out, as well as being an antioxidant it also helps use the calcium for new bone growth so get some sun rays when you can. Magnesium helps utilise the calicuim without it calcium cannot absorb into the body, it also removes any extra calcium that we don't need. Magnesium helps you relax and lowers the blood pressure. Many scientist suggest their two more important things than calcium for bones! Exercises that work particularly well for helping improve bone density include those that vertically load the muscle, for example- squats, push ups, lunges, planks and running. This is one of the most important things for bone strength, as soon as we reduce our exercise negative affects start to happen. This is one of the main reasons older people, especially women have weak and brittle bones. Being older is not an excuse to not exercise or life the of dumbell. To summarise we need silicon, exercise and magnesium to help improve and maintain our bone density. No pill or medication can ever replace this. I teach meditation because my own practice has been the most useful tool I have ever found to manage my own mental health challenges. Whilst I am not saying it's a panacea it has helped me more than anything else I have tried. It has given me the space I need to take charge of my thoughts and identify them as just that. My thoughts are no longer in charge of me, and that has changed everything. I am so passionate about the benefits of regular practice that I want to share it with everyone. I also enjoy bringing people together to meditate in a safe and supportive atmosphere. What is my favourite thing about myself and why? This is a tough one. I still struggle to find anything I like about myself. The thing I am immensely proud of is my babies, because they are the most fabulous human beings on the planet (I may be slightly biased.) They are kind and caring, intelligent and hilarious. I feel this may be a bit of a cop-out as they are other people, but I grew and nurtured them so I am going to take the credit for now! If it had to be me, I would say my loyalty and the fact I will always stick up for the underdog or those who can't stick up for themselves. 'Text Neck' is a real problem these days, affecting not only youngsters but adults. Text neck is the term used to describe the neck pain and damage sustained from looking down at your cell phone, tablet, or other wireless devices too frequently and for too long. The human head weighs about a dozen pounds. As the neck bends forward and down, the weight on the cervical spine begins to increase. At a 15-degree angle, this weight is about 27 pounds, at 30 degrees it’s 40 pounds, at 45 degrees it’s 49 pounds, and at 60 degrees it’s 60 pounds. Jus imagine how much time you spend looking down at your phone or you computer? What happens with our neck? Take frequent breaks from your phone and laptop throughout the day. If you work in an office, make sure your screen is set up so that when you look at it you are looking forward, with your head positioned squarely in line with your shoulders and spine. Get up every 30min and walk away from the computer. ⭐️ Natural fermentation of foods has also been shown to preserve nutrients in food and break the food down to a more digestible form. This, along with the bevy of probiotics created during the fermentation process, could explain the link between consumption of fermented foods and improved digestion. ⭐️ Cultures around the world have been eating fermented foods for years, from Sauerkraut in Germany to Kimichi in Korea and everywhere in between. Studies have even shown the link between probiotic rich foods and overall health. Sadly, with the advances in technology and food preparation, these time-honored traditional foods have been largely lost in our society. Teacher Spotlight! Every wee while we will be highlighting one of our amazing teachers and giving you the opportunity to get to know them a bit better. Debbie is the Area Officer Tayside for the children’s health charity Action for Sick Children Scotland, joining them in January 2015 and has a great deal of experience in child development, health and working with children with a wide range of additional support needs. Debbie’s personal yoga journey began in 2015 when she was recovering from injuries and she has been addicted to yoga ever since. Debbie teaching our Kids and baby classes but also attends many yoga and fitness classes through the week. One of Debbies other passions is cooking. One of Debbies other passions is cooking. She is well known among family, friends and work colleagues for her home baking...her brownies are to die for! Today she follows a healthy diet and is passionate about cooking delicious healthy and nutritious food from scratch, although she does confess to being a bit of a coffee addict so she can often be seen in coffee shops around the Ferry! Everyone knows that we should drink plenty of water each day to keep us hydrated and on the top of our game, however many people will drink fizzy juice instead and consume very little water. When drinking juices high in sugar it actually leads to dehydrating the body as in order to balance all the sugars the body needs to release stored water. If you sugar from regular headaches, cramping or just general tiredness try increasing your water intake. Personally I believe that increasing your water intake is one of the easiest and most effective ways to improve your health and wellbeing. Our bodies consist of roughly 60% water, even a slight decrease will cause a dramatic negative effect on how you function, yours energy levels and your mood. Try carrying a litter bottle of water with you where ever you go, aim to drink a minimum of 2 litres per day. Not all addictions are bad. We are all constantly trying to break bad habits or addictions, why not change them to good ones. Create good habits like giving yourself a hour or more each week or day to do something which relaxes you and refocuses your mind. Change a bad habit to one which builds you to become more of a relaxed, empowered and loving person. These good addictions should be welcomed into your life. Incorporating new foods and habits is simple. Just give them a try. Preparing food fresh will always be far more beneficial that prepackaged processed foods. As I’ve said many times before, cooking with one ingredient foods will always be the best choice. A great thing to do with fruit and vegetables is to go for a wide range off colours, as skittles say- ‘taste the rainbow’. This will supply you a wide range of vitamins and minerals. When deciding what vegetables to have with a meal you can use the ‘traffic light’ method, choose one red, one yellow and one green veg. To really optimised your vegetable and fruit intake aim for 5-8 servings a day, most of these servings being vegetables. Take some time to prepare roast vegetables dishes and salads to have with you meal, it will add so much to your meal. Nuts and seeds are great foods to keep stock up with. Their a awesome snack, you can blend into smoothies, use to garnish your meals. Getting a good handful of nuts and seeds a day will supply you with healthy fats, antioxidants and help protect against many diseases. The foods we choose in our day to day diet truly have the ability to heal, repair and rebuild the body. Along with this they also have the ability to do the complete opposite.